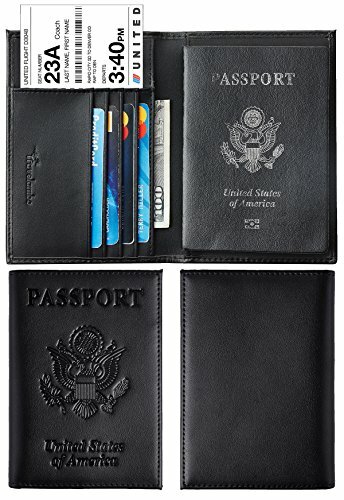 The Travelambo Leather Passport Wallet is a classy and functional leather wallet with RFID protection. 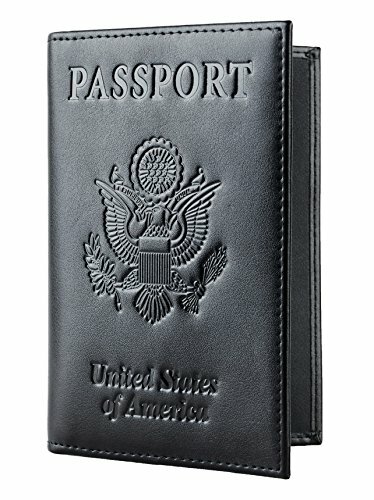 How Does the Travelambo Leather Passport Holder Stack Up? 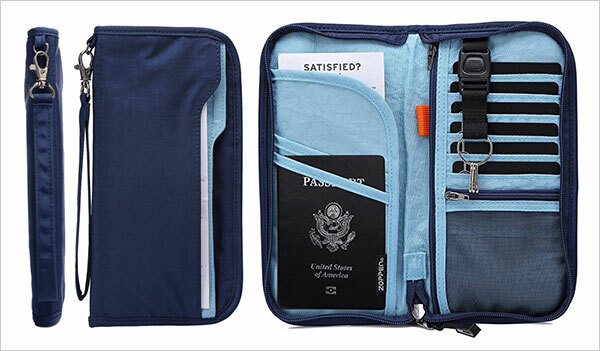 At first glance, the Travelambo looks like a fairly typical passport wallet. 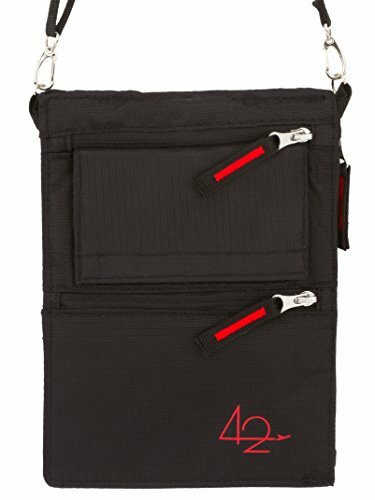 It has 4 slots for cards (which you can double up with a bit of back and forth). 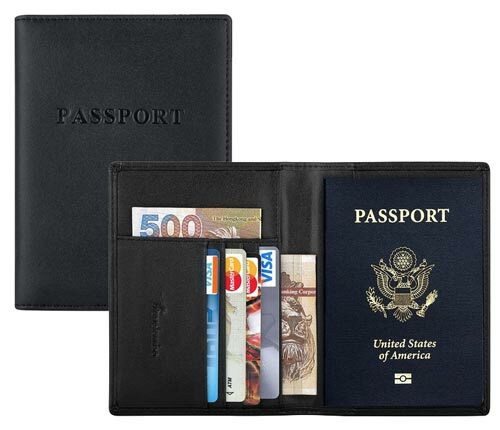 The two biggest vertical pockets will fit folded currency or a passport – rather snugly. 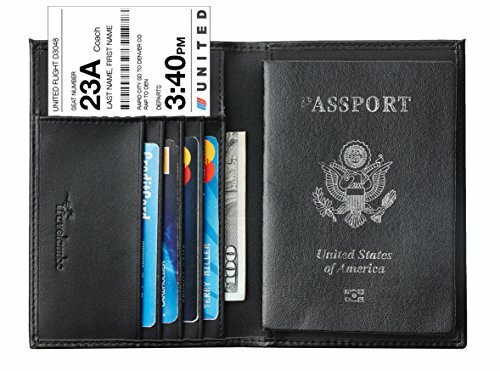 The large vertical pocket to the right is intended to have the back page of your passport slide in for easy display and works well. 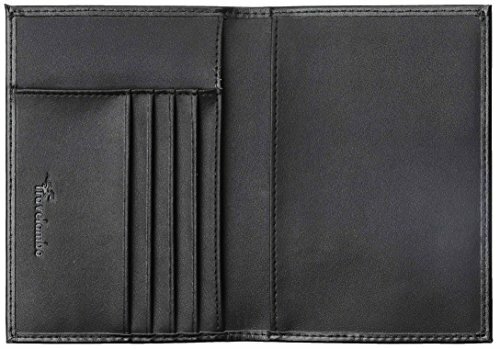 There is an additional horizontal pocket which I assume is for smaller paper items and even currency – again which must be folded. 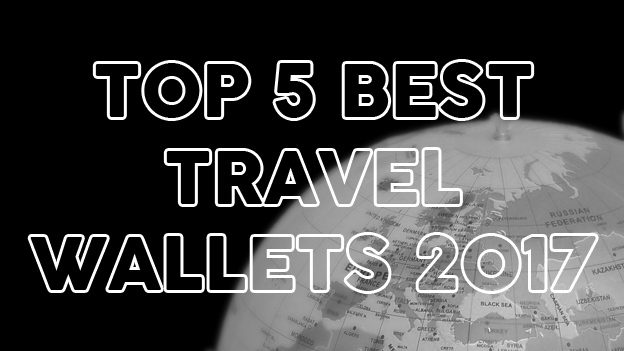 Looking at it from a functional point of view, it’s nice to have a couple of pockets for currency. In saying this however I feel like Travelambo missed an opportunity here to add a vertical sleeve across the top. 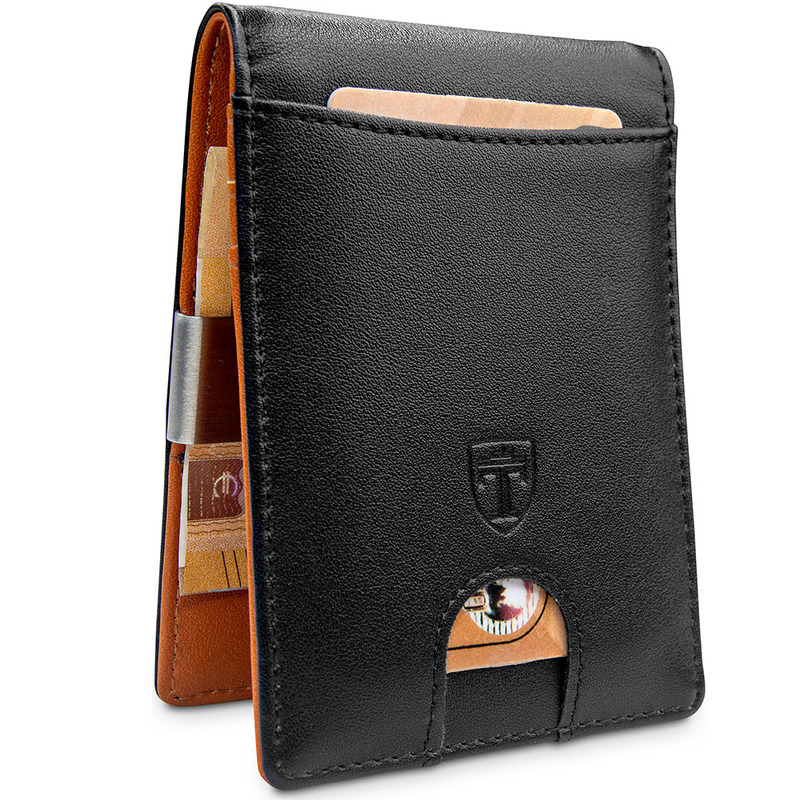 This would allow for a dedicated currency pocket that would fold as you close the wallet. I like the fact that they prove their RFID authenticity, especially when other companies will expect you to take it for granted. 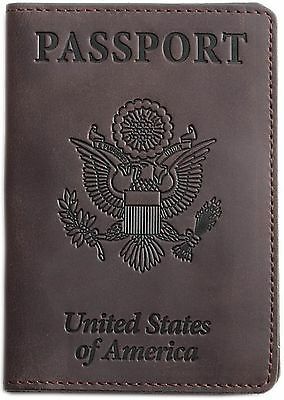 The leather is soft to the touch and of good quality. 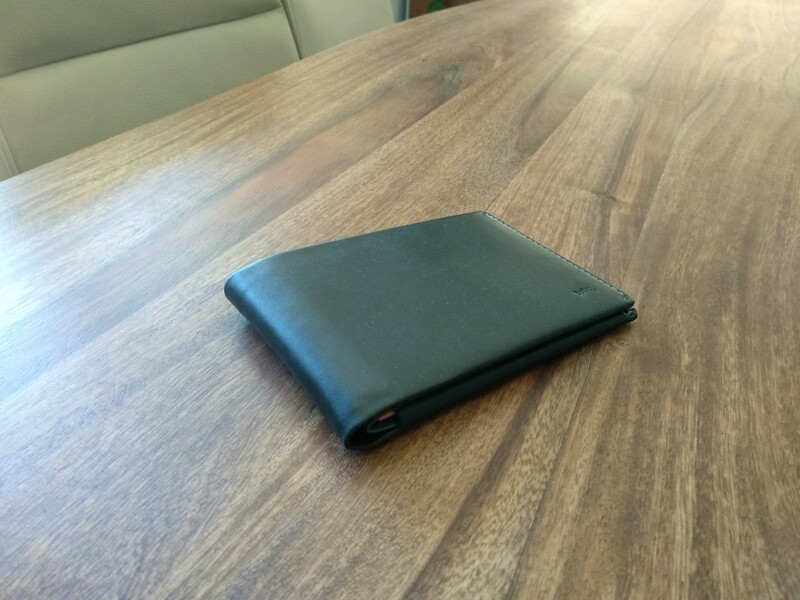 For a leather wallet, it’s a great size too. 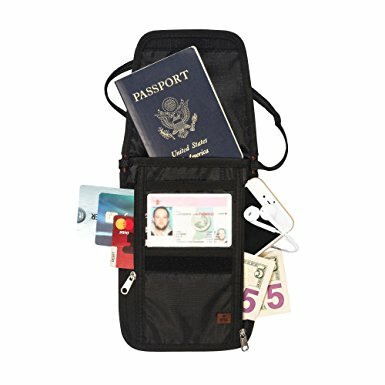 Just big enough to cover your passport, it will fit in larger front pockets as well as most back pockets. 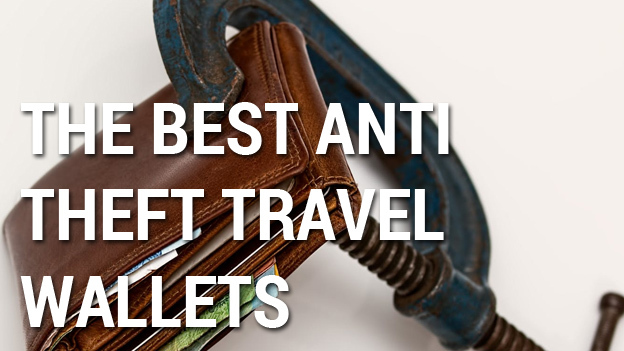 When paired with RFID shielding, leather wallets can easily become bulky when full. 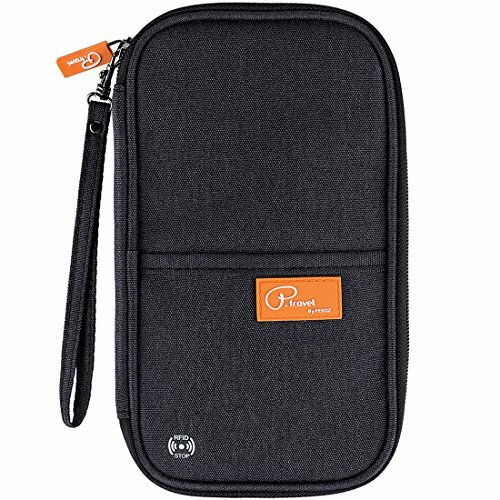 I feel like Travelambo have taken pains here to keep it as slim as possible without sacrificing leather quality. 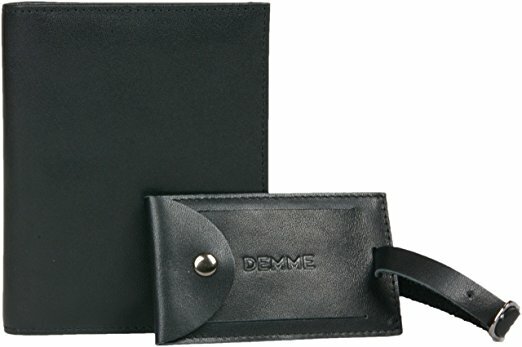 It’s definitely a nice looking leather travel wallet. 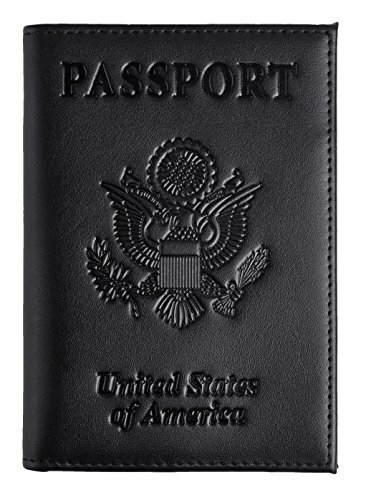 Whilst I’m not crazy about the embossed letters “PASSPORT” on the front of the wallet, the general feel and aesthetics are minimal and slick. 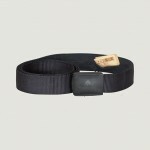 The construction and stitching looks pretty good with no obvious flaws and it comes in a wide range of colors. 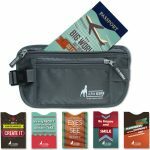 For a full range of Travelambo Leather products, check them out on Amazon here. 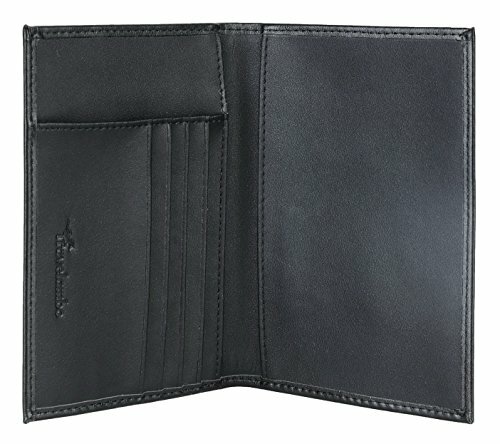 ...But the Travelambo Passport Wallet is an impressive albeit simple solution for those looking for a leather RFID travel wallet. 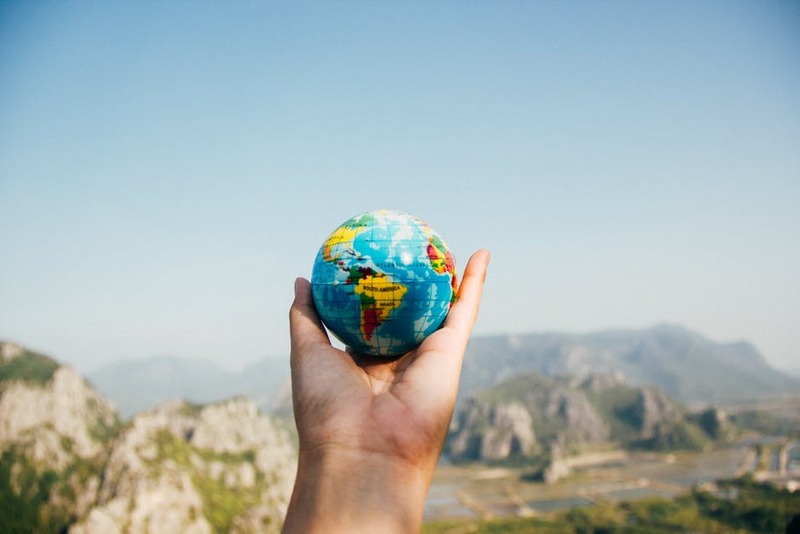 It's got a lot going for it without breaking the mold and would be great for short term trips or vacations in low-medium risk areas.